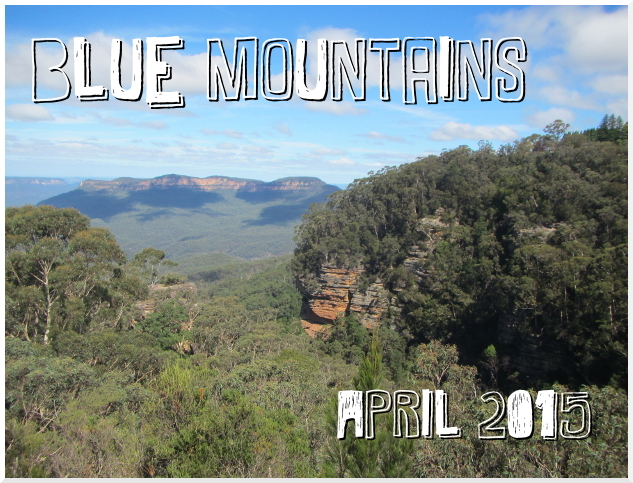 We spent 3 days in the Blue Mountains and decided to travel by train as it's so easy to get to from Sydney, and with our Opal cards it was so cheap. It actually only cost about dollar more than a usual trip into the city for us, which takes 10 minutes! The train to Katoomba took 2 hours from Central, and as soon as we got off the coldness hit us, it's the coldest temperature we've felt since arriving in Australia by far! We knew it would be colder, but not that cold! I didn't even bring my coat, what an idiot! We stayed at the Blue Mountains YHA, which we walked down the main street to get to from the station. Our room was small but nice, and it had radiators which I've not seen in Australia before! We had worked out a bit of an itinerary but we totally changed it and decided to go and check out Govetts Leap first! This was in Blackheath, which was a couple more stops down the line on the train, so we headed back up to the station. This cost nothing on our Opal cards, maybe because we'd already travelled from the city so it counted as a transfer, who knows! When we arrived in Blackheath we noticed that a storm was coming over! Great! It got really windy and started to rain so we went for a coffee and luckily when we came out it had passed! From the lookout we could also see Bridal Veil Falls, and we decided to walk along to them. We followed the steps down, which took us across the top of the falls. As we got there another storm cloud came over and we got soaked but again it passed really quickly and we saw a nice little rainbow in the valley! After that we headed back and got the train back to Katoomba, that night we went to an amazing Thai restaurant in the town then went to the cinema and it was freezing in there too!! After getting our tickets we got the skyway over to the East station and back again, getting some great views of the Three Sisters and a huge waterfall. It had a glass floor which was great for seeing the valley below! We then went on the steep railway to the valley floor, which was not as fast or scary as I remember it being when I came here as a kid! Once we reached the bottom we walked all around the boardwalk through the forest, which was beautiful. We headed back up on the cableway. After having some lunch we walked down the 'Furber Steps,' another way of getting to the bottom but with lots of different lookouts and close-up views of the waterfall. We came back up on the railway, which was fun to do backwards! Back at the main area where the giftshop is there was a bit of a commotion and a huge group of Indian people following someone around, a girl that worked there told us that the man being followed was a guru! We then left Scenic World and did a bit of the Prince Henry clifftop walk, which took us to Echo Point for closer views of the Three Sisters. 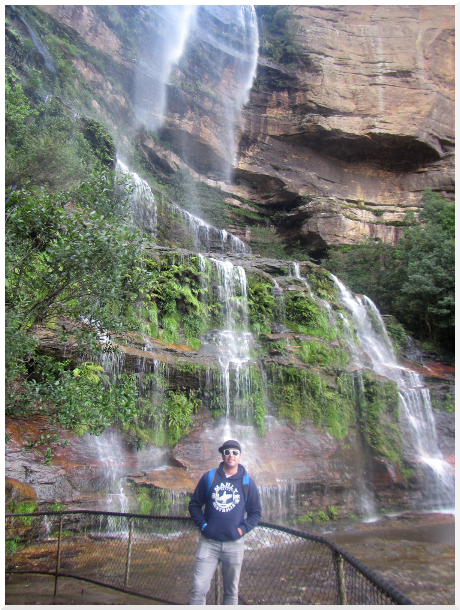 We carried on a little further and were going to continue on to the Leura Cascades but by now we were tired of walking! We decided to do that part the following day so 1km before the cascades we joined the main road which was a short journey back to the hostel. The following morning we checked out of the hostel and stored our backpacks in a locker while we headed back down to see the Leura Cascades. I am so glad we saw these as they were so beautiful! The walk seemed longer than 1km to reach them though and we wondered if we'd got lost at one point! Once we'd completed the walk, which was a loop, we collected our bags and headed back to Katoomba station, and we were back in Sydney by that afternoon! Blue Mountains YHA - We stayed for 2 nights in a double private room which was great, the hostel had a huge kitchen and social area! Sydney Trains - for timetables and fares, i think with our Opal cards the journey from Sydney cost us $5.80 each way.